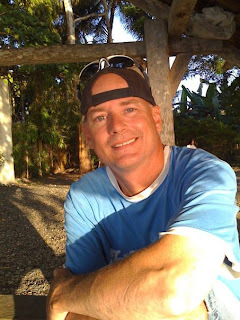 Tim Potter's Copyright Violations and Google : Texas Tim Potter Expat Blog. As I Tim Potter Philippine-Sugar Land sit back and wonder what would happen if someone stole your photos online or they steal your content. What are the actions you can take. You can report these offenses to the web master that has the photos or material. You can report them to the author of the website. Yet those seem to do little good in the case of Cyber Stalker. So then you can report them to Google who in reality just press a button for deny. How do I, Tim Potter Philippine-Sugar Land know this, a Cyber Stalker has followed me around the web for no reason. He is a jealous bitter old man. That wishes people to live in his misery. So then you follow the advice of Google. Create positive things to outweigh what was said and things that are negative about you. 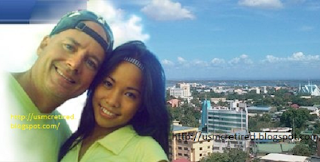 I Tim Potter Philippine-Sugar Land created a blog and many online profiles. I used Blogspot and Google Plus to create these profiles. You follow the instructions of Google. Then the cyber stalker goes and steals your content and posts it on his profile. He steals your Google Plus Profile and Blogspot posts. So now you inform the website author of the what may happen. You inform them that he has once again violated your copyright and stole your material. There have been reports that ISPs do not entertain image theft anymore. I Tim Potter Philippine-Sugar Land wonder how true those reports are. The rub here is you take him to court to take down sites. This costs you a thousand dollars or so to do as such. Then for $10 dollars the cyber stalker opens up shop somewhere else. Yet you are out a thousand dollars to fight back. Additionally when the person lives in another country there is little you can do in regards to monetary damages as he is an expat in France. Yet since this guy has a USA passport and his number was published on the web he has has been reported for child endangerment to US Authorities and the FBI. I Tim Potter Philippine-Sugar Land will now sit back and wait for the outcome. No matter the outcome with Google. Two things will remain the same. I will have a wife that is beautiful and would be the envy of any man. That my cyber stalker will remain jealous and bitter over this fact. I came here from living in Cebu forum. I'm heading over your way in a month or two. Maybe we can network? About this issue, have you used DMCA's? David (spydoo on the forum). Yes google has not been so kind to me. Even in the caption on the photo it says "Courtsey of Tim Potters website" So I used the form showed the orginal website and upload date. Yet they say it is not a violation. I have attempted may times and google just will not budge sad as it may seem. Tim, anyone with half a brain knows that the stalker you are talking about is a complete moron. What is truly scary is that someone can write such things about people with total impunity. It's gotten to the point where people are afraid to post pictures of themselves or their families for fear of this guy putting them up on one of his many hate sites. He will get his eventually. What goes around, comes around.